FastBooking was the first in the industry to offer both Android and iPhone native applications in 2009. Today, FastBooking proposes a full range of mobile products including FastBooking Engine, mobile sites, native applications for portals and hotels, fully tablet compliant websites and more. FastBooking, one of the world’s leading e-marketing and online technology solutions providers for the hospitality industry, announces exciting enhancements to its range of mobile solutions. “The mobile arena has considerably evolved in the past three years. The challenge is no longer to propose dedicated mobile platforms to end users, but to ensure all platforms are compatible and fully optimized for mobile usage. We have been working very hard to achieve this,” says Damien Balbo, FastBooking Products & Services Director. 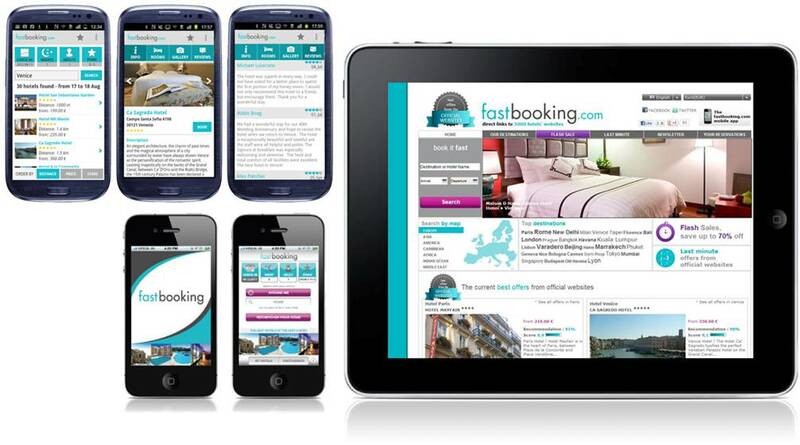 FastBooking was the first in the industry to offer both Android and iPhone native applications to hoteliers via the company’s namesake hotel booking site, FastBooking.com. The company introduced its first native application for the Apple iPhone in December 2009, for which it received international recognition. Three months later, FastBooking pioneered its application based on the Android operating system. In addition to FastBooking.com applications, FastBooking has developed ready-to-use hotel applications leveraging the know-how accumulated with FastBooking.com native apps. Hotel iPhone applications were launched early in 2010. Like all hotel websites built in-house by FastBooking, all FastBooking proprietary portals are tablet compliant for optimal display. FastBooking.com native apps are available for iPhone and Androïd. 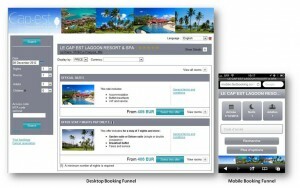 The company recently launched the latest version of the Android application for FastBooking.com. The new app encapsulates crisp design along with a superior user experience. “Travellers are increasingly mobile-savvy and hoteliers have to respond adequately to this growing demand for mobile services,” says Fanny Do Dang, FastBooking Products Manager. 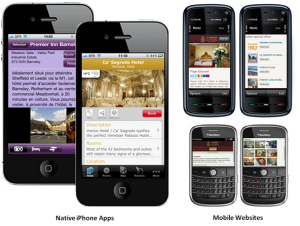 FastBooking has developed a full range of mobile solutions for hotels including mobile sites and native iPhone applications. The latest version of the iPhone application for hotels includes multi-rate display, full support of options, customizable content, access to new sections such as guest reviews and social network pages, along with the FastBooking trademark high-end design and superior usability. The same applies for FastBooking mobile sites which are compatible with virtually every smartphone on the market, guaranteeing maximum exposure. From a booking engine standpoint, the booking process has been optimized for mobile display and includes all advanced features available in the desktop version such as options, multi-rate and more. Information is straight to the point; the design is contemporary with a focus on making it as easy as possible for travellers to book anytime, anywhere. This mobile booking process has been leveraged for the FastBooking Mobile Apps & Site offering, but there is more to it than meets the eye. “We constantly focus on conversion and strive to be best-in-class. As a consequence, should a user connect to a desktop website with a mobile phone, we automatically detect it and display the mobile booking funnel in order to maximise bookings,” explains Damien Balbo.